Hey - your wine rack called - it needs more 92-POINT rip-roaring Cabernet at (!!) nearly 65% OFF!! Woo hoo! We never get enough! Basically, this is like riding a bucking horse- if that horse was blueberry pie, brambly blackberry preserves, your Mom’s homemade pie crust and vanilla bean. It’s broad and mouthcoating, ripe, and velvety...just pedal-to-the-metal Paso Robles juice! Drinking perfectly, right now, the moment the box hits your doorstep, office or wherever you get our vinous gifts delivered! Have a corkscrew handy!! We bought as much as they’d give us...grab it while we have it…! 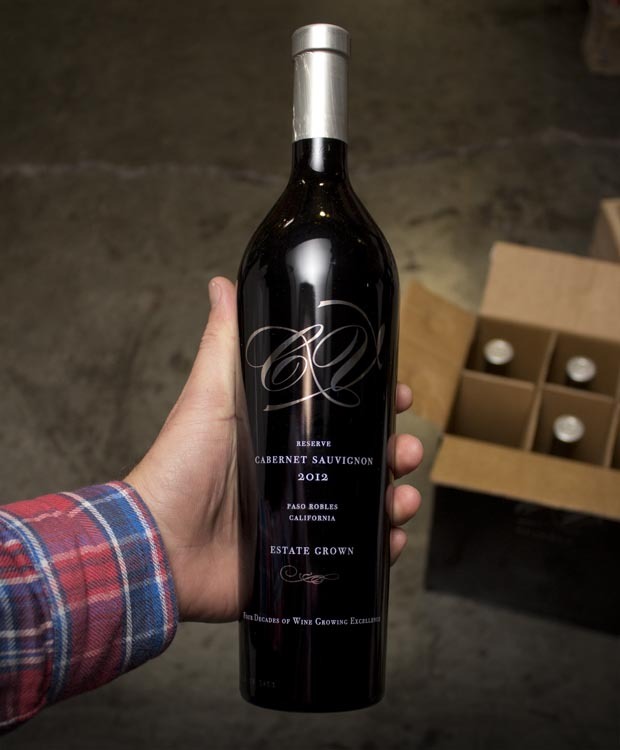 The term CV refers to the original vineyard holdings on our estate, Continental Vineyards, and this very limited wine is only produced in execptional vintage years. In 2012, we achieved perfect fruit ripeness, resulting in a wine of outstanding depth. Beginning with the nose: blackcurrants, pine needles, along with underlying oak spices paint the picture of international appeal. This cohesion of integrated flavors easily translates to a mouth feel full of blueberry sensations and silky tannins. The linear finish leaves a rejuvenated palate that is not overwhelmed by over structured tannin, showing that a bigger wine is not always better. Aging/Cooperage: Only new oak is used and the average aging is 23 months. farmed earth. Farmers for generations have cultivated and ‘broken’ the soil in the region with care and respect. Broken Earth Winery is the largest winery in California’s Central Coast to run completely on alternative energy. It was also one of the first in California to use a system that actively tracks the sun allowing the Winery to efficiently operate on 100% solar power. In Paso Robles we are blessed with the perfect climate for growing grapes. By using alternative energy, we are doing our part to protect our environment while continuing to produce the highest quality wine.